Family Travel | Kids in Calgary | Kids in T.O. Mountains, crisp air and cowboys. Yes, it all sounds very stereotypical (our visit did coincide with the Calgary Stampede after all) but in reality that love of the outdoors and that Alberta pride is the general vibe out west. So while there – embrace it. We loved how Calgarians love the outdoors and you’ll be guaranteed greatness when you head out to explore nature in and outside of the city. 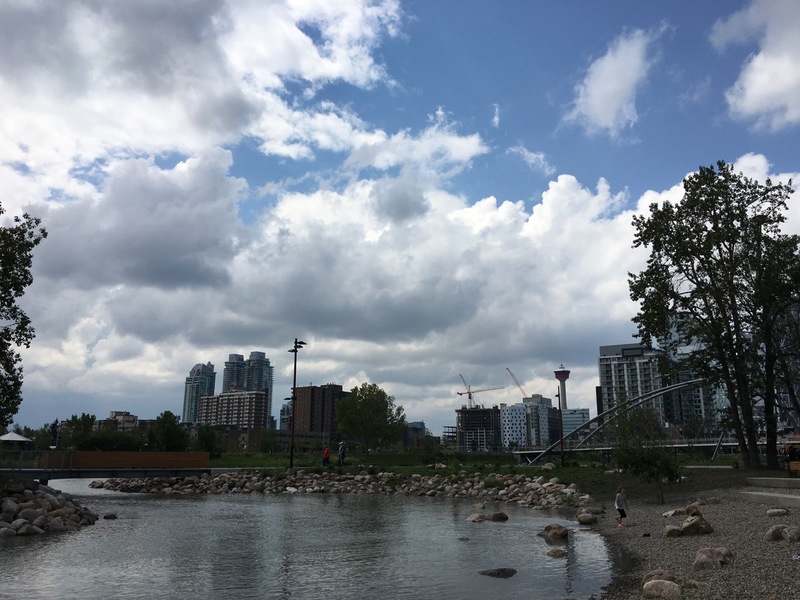 Island life: St. Patrick’s Island, a 31-acre island in the Bow River re-opened in summer 2015 after a revitalization following the flooding in 2013. This beautifully and thoughtfully designed green space in the East Village offers so much for families. Be sure to check out the amazing new children’s playground. Playground on St. Patrick’s Island. 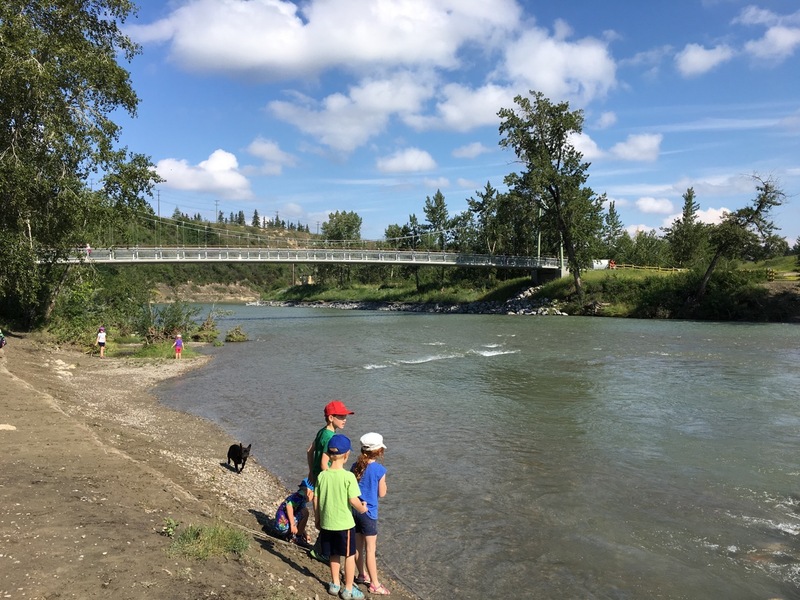 Parks: Sandy Beach Park is small and shallow beach along the Elbow River in southwest Calgary, a fun place for kids to get their ankles wet and to skip stones and search for snails and minnows. A small playground is near by and above is River Park with a large designated off-leash area. If you’re in the northwest part of the city, the 12-sq-km Nose Hill Park boasts hiking and biking trails and an awesome view of the city. Need more ideas? 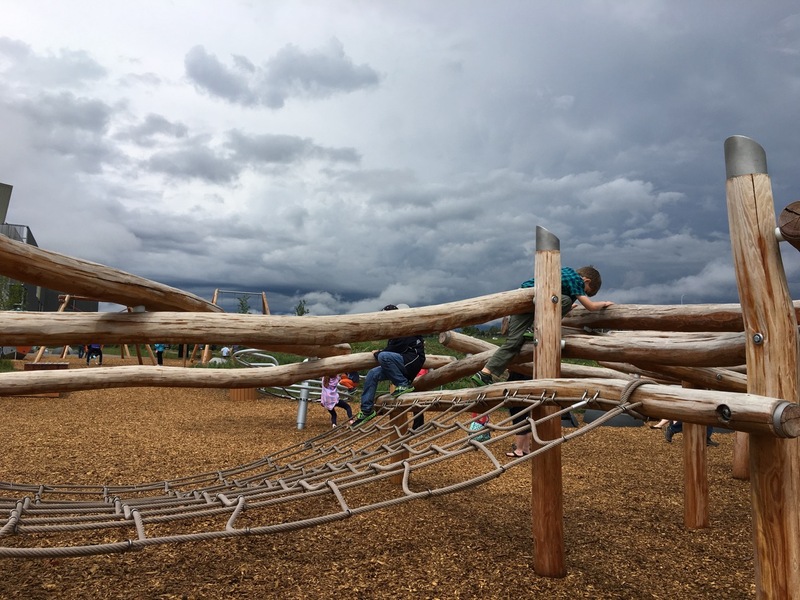 Local mom and blogger for Calgary Playground Review has a growing list of playgrounds and parks in Calgary and around Alberta. 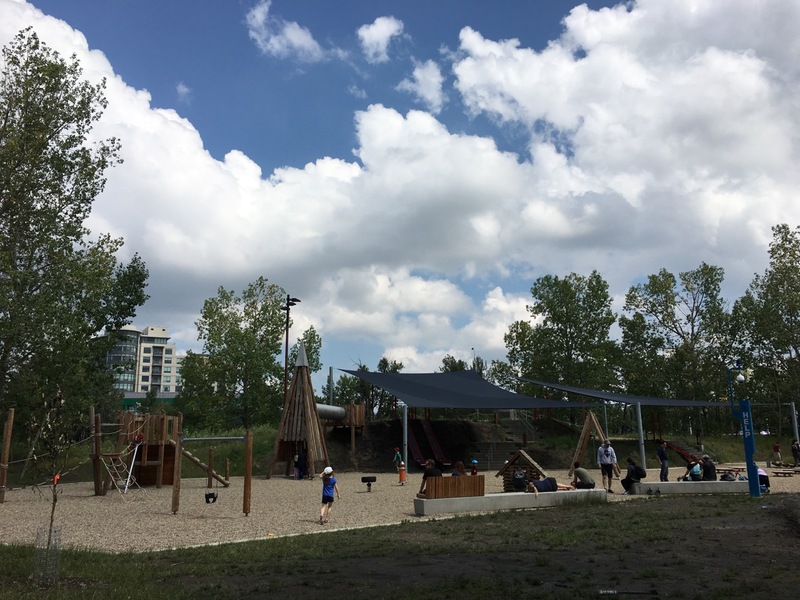 Playgrounds: We were so impressed by Calgary’s Science Centre Telus Spark. The two-level indoor space has something for everyone – from water play and climbing structures for the littles in a gorgeous bright and modern space to tons of maker-type stations on the upper level for the older kids. But outside is a spot not to be missed. Be sure to save time to run, climb, jump and slide in their year-round outdoor playground The Brainasium. Telus Spark’s outdoor playground is amazing. PS – If you’re a member of the Ontario Science Centre in Toronto, you get in free through its reciprocity program. The Mountains: You cannot visit Calgary without checking out the mountains. 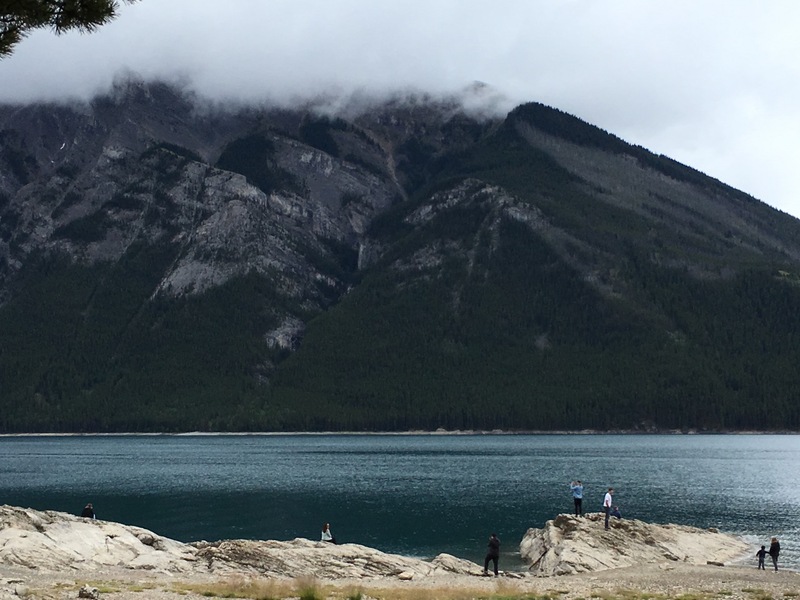 We did a day trip into Banff National Park (a 1.5 hour from Calgary) and hiked along Lake Minnewanka. Wherever you stop – Kananaskis, Canmore, Banff, Lake Louise – you won’t be disappointed. Even on a cloudy day, the mountains in Banff National Park are breath taking. Here a view of Lake Minnewanka. If you need some direction on where to hike with the family, look no further than Tanya, the Calgary mom behind Rockies Family Adventures. She and her family head to the mountains almost every weekend and write about their experiences. Stampede: Every July, the Calgary Stampede takes over the city. While you’ll find the major action — the rodeo, music concerts and agriculture events that celebrate western living – at Stamped Park in the city’s downtown, there are plenty of smaller family-friendly community gatherings throughout the festival. Next year is schedule for July 7 – 16, 2017. The cutest little cowboy. 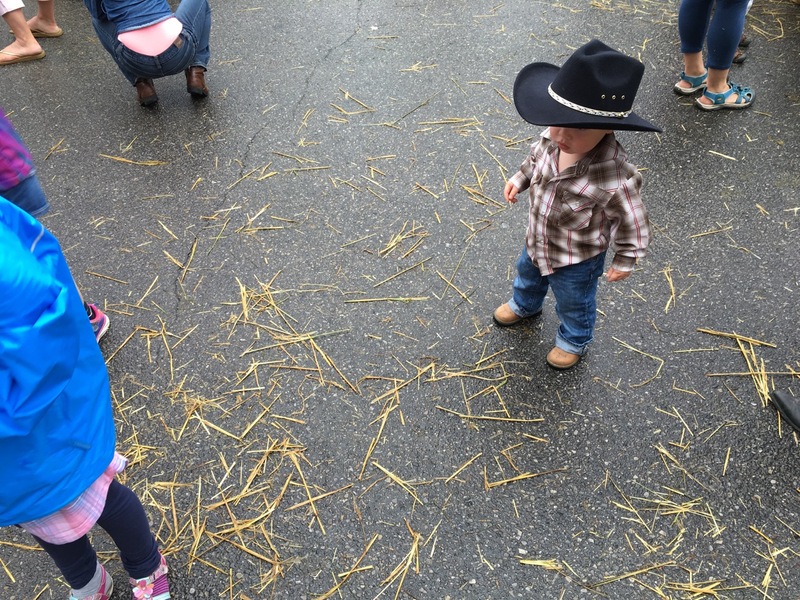 Western attire is strongly encouraged during Stampede. We’ve been raving about a weekend trip outside but there is SO MUCH to do. If you have a longer stay and/or want to see where the locals take their kids, Calgary’s Child put together over 100 ideas on what to do with kids in tow – or Cowtown. 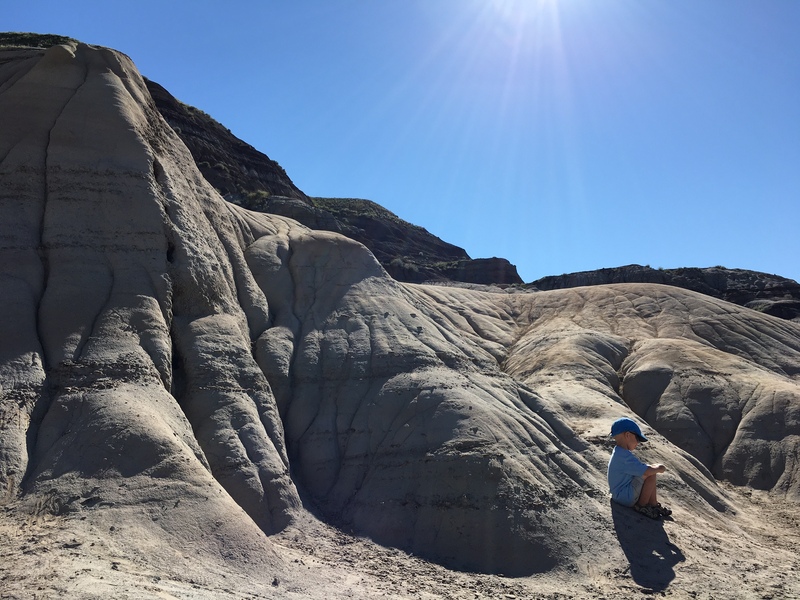 Hoodoos: A road trip northeast takes you into the heart of the Alberta Badlands. It’s definitely worth the visit to check out the Royal Tyrrell Museum and do some hiking in area. Hanging out in the Hoodoos.